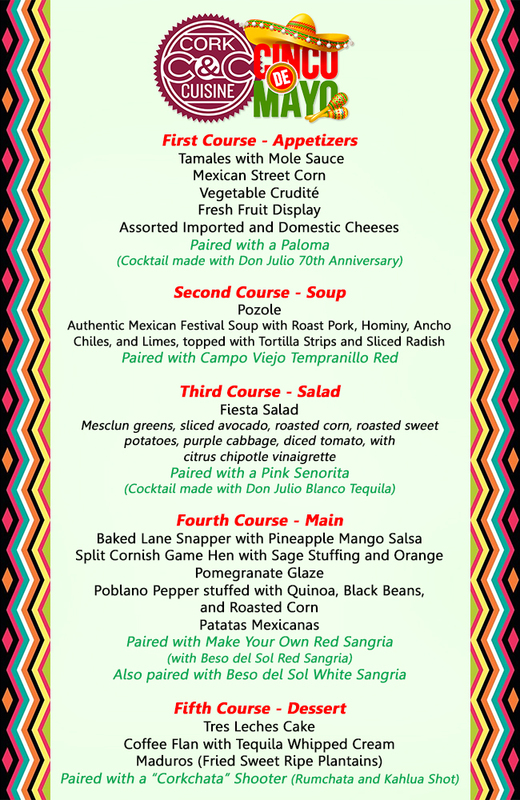 Special giveaways will also be part of the evening, including a bottle of each of the wines and spirits featured throughout the dinner and some unique Cinco de Mayo themed centerpieces courtesy of Ivy Trellis. Guest Emcee, Chad Benefield from WBKR’s Morning Show, will keep the party going throughout the evening! Tickets: $65.25 per person or two for $115. All tickets include all wines and spirits. Additional processing fees apply to all ticket sales. Reservations only. 21 and over only. Cork & Cuisine – Cinco de Mayo is sponsored by Southern Glazer’s Wine & Spirits of Kentucky, Creation Gardens, and Ivy Trellis.